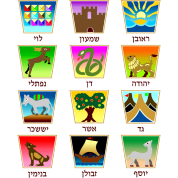 The twelve tribes (clans) of Israel derive from the twelve sons of Jacob, aka “Israel.” These sons/tribes were, in order of birth, Reuben, Simeon, Levi, Judah, Dan, Naphtali, Gad, Asher, Issachar, Zebulun, Joseph, and Benjamin. Levi became the priest tribe, not one of the twelve, while Joseph split into two tribes named after the sons of Joseph, Manasseh and Ephraim. 1. Reuben: Behold a son! 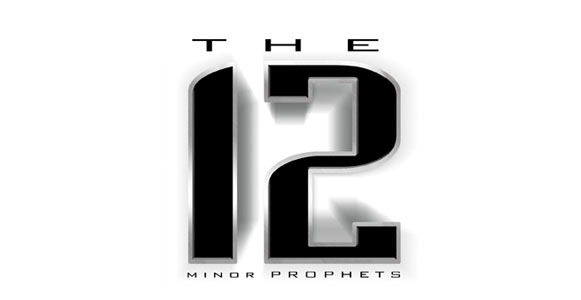 The term “Minor Prophets” refers to the reported authors of the twelve short prophetic texts included within the Hebrew Bible (Tanakh) as well as the Christian Old Testament. While the title places those books in contrast to the major prophets (Isaiah, Jeremiah, Ezekiel, and (in some Christian Bibles) Daniel)…the term simply refers to the book’s respective lengths. 6. Micah: Who is like God? The Minor Prophets, whose exhortations were recorded on a single scroll in the classical Hebrew (and only separated when the text came to be translated), run the gamut of Israelite/Jewish history—from the Assyrian period to the Persian. In doing so, they address strikingly varied audiences, from broken-hearted exiles to hopeful builders of a new temple. In spite of this, they consistently stressed a single, primary thesis: that they were God’s chosen people, that it behooved them to behave accordingly, and that, in the end, history would vindicate the faithful. In this way (and in spite of their varied historical perspectives), all of the twelve, in their hopeful proclamations and baneful exhortations, were conditioned by this singular perspective. 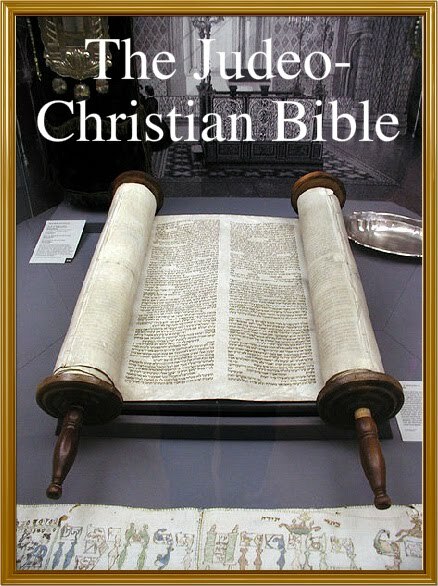 – The Jewish Bible contains 24 different books which are divided into three sections called the Law (Torah), the Prophets (Nevi’im) and the Writings (Ketuvim). There are 5 book of the Law, 8 books of the Prophets, and 11 books of the Writings. – The Christian Bible comes in three major versions. The Protestant Bible traditionally has 66 books in total, the Catholic Bible includes 73 different books, while the Eastern Orthodox Bible usually contains 78 total books in their particular version of Scriptures. – Every Christian Bible has exactly 27 books included in the New Testament. Therefore, the differences in number of total books comes from the Old Testament. Thus, the Protestant Bible has 39 Old Testament books (39 + 27 = 66 books), the Catholic Bible includes 46 Old Testament books (46 + 27 = 73 books), and the Eastern Orthodox Old Testament has 54 different books (51 + 27 = 78 books). – The Bible’s longest book is Psalms, the shortest is 3 John, while the middle book(s) are Micah and Nahum. – The Old Testament’s middle book is Proverbs, the largest book is Psalms, and the smallest book is Obadiah. – Isaiah: mentioned 419 times in twenty-three New Testament books. – Psalms: mentioned 414 times in twenty-three New Testament books. – Genesis: mentioned 260 times in twenty-one New Testament books. – Exodus: mentioned 250 times in nineteen New Testament books. – Deuteronomy: mentioned 208 times in twenty-one New Testament books. – Ezekiel: mentioned 141 times in fifteen New Testament books. – Daniel: mentioned 133 times in seventeen New Testament books. – Jeremiah: mentioned 125 times in seventeen New Testament books. – Leviticus: mentioned 107 times in fifteen New Testament books. – Numbers: mentioned 73 times in four New Testament books. – Until a few hundred years ago, the Bible contained no chapters or verses at all. – It wasn’t until the 16th Century, many years after it’s first printing (even more since it was compiled) that the Bible was divided into the chapters and verses we use today. They were designed for ease of reference and are a tool organised by man, not put there by God. – The Bible was divided into chapters by Cardinal Hugo in 1250. – The King James translation has 1,189 chapters. If you read three chapters a day, six days a week, and four chapters on Sunday, you will read the entire Bible in less than one year’s time. – The Old Testament has 929 chapters and the New Testament has 260 chapters. – The longest chapter in the Bible is Psalm 119, which consists of 176 verses. – The middle chapter of the Old Testment is Job 29. – The middle chapter in the New Testament is between Romans 13 and 14. – The longest New Testament Chapter is Luke 1. – Psalms 117, 118 and 119 are chapters with special significance in the Bible. Apparently, Psalm 117 is the shortest chapter in the Bible, Psalm 118 is the central chapter of the Bible and Psalm 119 is the longest chapter in the Bible. – There is one chapter that is repeated twice in the Bible: (Psalms 14 and Psalms 53) ‘The fool says in his heart, “there is no God.” They are corrupt, their deeds are vile; there is no one who does good.’ However, they are not mirror images of each other. – Psalm 37 is one of the few that are acrostic – but not in English! – The LORD God’s Blessing and Cursing Passage, where He gives mankind the choice whether to be obedient to God, is in Deuteronomy Chapter 28. – The nineteenth chapter of 2 Kings and the thirty-seventh chapter of Isaiah are nearly identical. – The New Testament was divided into verses by Sir Robert Stephens in 1551. – The Holy Bible contains 31,173 verses. – The longest verse in the Bible is Esther 8:9 which contains 90 words. – The shortest verse in the NIV Bible is not ‘Jesus wept’ in John 11:35, but ‘He said’ from Job 3:2. – The middle verse in the Bible is Psalms 118:8. – 2 John and 3 John have the same number of verses, 13 of them. However, John 3 wins the title of the shortest book due to its fewer number of words. – A number of verses in the Bible (KJV) contain every single letter of the 26-letter alphabet except for one specific letter of the alphabet. Ezra 7:21 contains all but the letter ‘J’. – Joshua 7:24, 1Kings 1:9, 1 Chronicles 12:40, 2 Chronicles 36:10, Ezekiel 28:13, Daniel 4:37, and Haggai 1:1 all contain every single letter except ‘Q’. – 2 Kings 16:15 and 1 Chronicles 4:10 contain all letters except ‘Z’. – Galatians 1:14 contains all letters with the exception of ‘K’. – The 8th, 15th, 21st, 31st verses of the 107th Psalm are alike. – Every verse in the 136th Psalm has the same ending. – The middle verse of the Old Testament is 2 Chronicles 20:13. The shortest verse in the Old Testament is 1 Chronicles 1:25 and the longest verse is Esther 8:9. – The middle verse in the New Testament is Acts 17:17. The shortest verse is 1st Thessalonians 5:16, while the longest verse is Revelation 20:4, with 68 words. – The entire Judeo-Christian Bible contains pproximately 773,692 words, with around 592,439 words in the Old Testament and about 181,253 words in the New Testament. – The Book of Esther and the Song of Solomon are the only two books that do not contain the word ‘God’. – The word, ‘LORD’: appears 7,736 times. – The words ‘Do not be afraid’: appears 365 times in the Bible, the same number of days in a year. – The words ‘baptize, baptized, baptizest, baptizeth, baptizing’ are cited in the Bible 77 times. – The word ‘Salt’: occurs more than 30 times in the Bible. – The word ‘Christian’: appears only three times in the Bible (Acts 11:26, 26:28 and 1 Peter 4:16). – The words ‘Boy’ and ‘Boys’: are mentioned 3 times. – The words ‘Girl’ and ‘Girls’: are mentioned 2 times. – The word ‘God’: appears in every book except the Book of Esther and Song of Solomon. – The word ‘Cat’: is totally absent from the Bible. 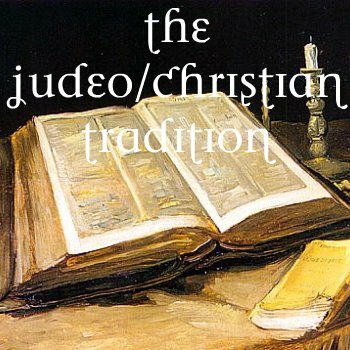 – Naming children after famous Biblical characters such as Abraham, Jacob, Jonathan, or Samuel has been a Judeo-Christian tradition for thousands of years and continues to be practiced even today throughout the entire Judeo-Christian world. – Because of innate differences in language and dialect among Judeo-Christian believers from different continents and nations, the same Biblical name may differ greatly in terms of spellingand pronunciation. For example, Ivan in Russian, Juan in Spanish, and Johann in Swedish, all mean John in the English language. – Some of the most popular names in history all originate from the Bible. This includes the names Adam, David, John, Jacob, Elizabeth, Sarah,and Mary. ~ The Gospel of Matthew was written by Matthew in 55 A.D.
~ The Gospel of Mark was written by John Mark in 50 A.D.
~ The Gospel of Luke was written by Luke in 60 A.D.
~ The Book of Acts was written by Luke in 65 A.D.
~ The Letter to the Romans, 1st Corinthians, 2nd Corinthians, Galatians, Ephesians, Philippians, Colosians, 1st Thessalonians, 2nd Thessalonians, 1st Timothy, 2nd Timothy, Titus, Philemon were all written by Paul from 50 to 70 A.D.
~ The Letter to the Hebrews was most likely written by Paul, Luke, Barnabas, or Apollos in 65 A.D.
~ The Letter of James was written by James in 45 A.D.
~ The 1st, 2nd, and 3rd Letters of Peter were all written by Peter in 60 A.D.
~ The 1st, 2nd, and 3rd Letters of John were all written by John in 90 A.D.
~ The Letter to Jude was written by Jude in 60 A.D.
~ The Book of Revelation was written by John in 90 A.D.